THE WAIT IS OVER. 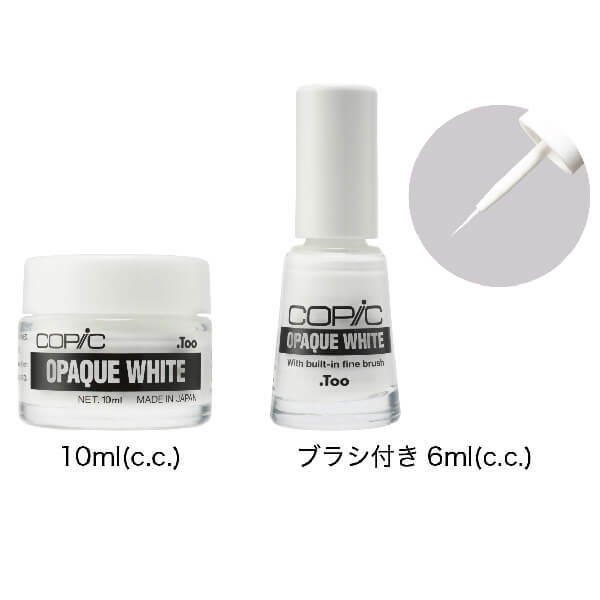 We have updated the whole lineup of Copic Opaque White! Copic Opaque White has good opacifying properties and provides highlight effect and details. This thick white paint won’t bleed into the base color. Great for adding the final touches to your artwork.